Yield is the amount of investment income an investor receives expressed as a percentage of invested principal. A bond yield is the amount of annual interest divided by a bond’s price; a stock yield is the amount of annual dividend per share divided by the current stock price. An investor must take several factors into account when comparing bond and stock yields. Bonds have several yields, depending on what investors want to know and measure. The coupon, or nominal yield, is the amount of annual interest as a percentage of a bond’s face value -- the contractual amount to be repaid at maturity. 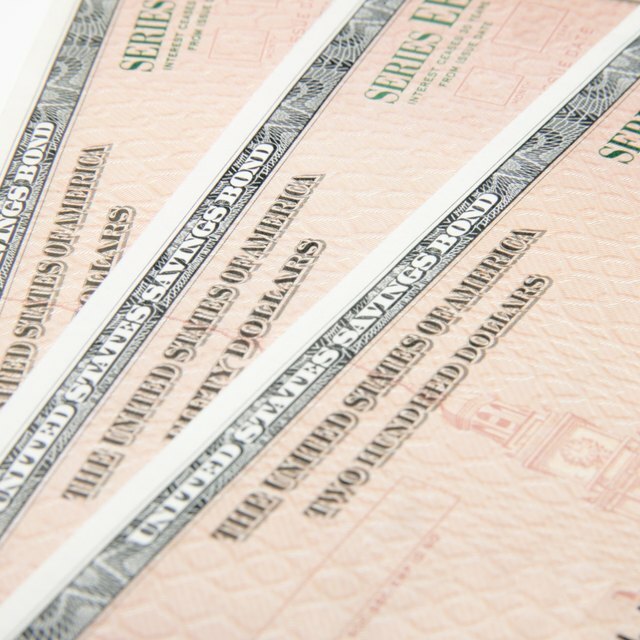 A bond’s annual interest, expressed at issuance as a percentage of face value, is set in dollars for the life of the bond. For example: A 5 percent 10-year bond would pay $50 in annual interest for each $1,000 of face value. Bonds can trade in the secondary market for more or less than their face value -- at a premium or at a discount. Since the interest is fixed, a bond’s yield goes up when its price drops, and vice versa. Current yield is the amount of annual interest divided by a bond’s current price. Yield to maturity factors in the difference between a bond’s current price and its face value at maturity. A call provision allows a bond issuer to call, or redeem, a bond at a pre-determined price after a certain date prior to maturity. Yield to call factors in the difference between a bond’s current price and the price at which it could be called. All three components in the equation -- dividend, stock price and yield -- are variable and a change in one would change the other two. For example: A higher dividend amount would increase the current yield if the stock price remains the same; an increase in the stock price would reduce the yield if the dividend remains the same. If the amount of investment income remains the same, a change in yield is the result of a change in the price of an asset. Since bond interest does not change throughout the life of a bond, bond yield changes are always a function of bond price changes. Stock yields, on the other hand, can be affected by changes in the amount of dividend and the stock price. Bond prices generally fluctuate less than stock prices because bonds have a face value that bond investors expect to receive at maturity, but stock prices are not tied to any particular value and fluctuate based on the financial performance of the company. It can be misleading to compare bonds and stocks on the basis of yield alone. In most instances, the current bond yield is all an investor should expect from his bond annually; capital gains in bonds are secondary. Most stock profits come from capital appreciation. A stock can have a dividend yield of 1 percent and appreciate 50 percent in a year. On the other hand, a stock dividend yield can drop to zero if the dividend is cut, or shoot up when the stock price drops.